With new iPad Pro models expected to arrive in the coming weeks, developer Steven Troughton-Smith revealed on Twitter the changes found in pre-release iOS 10.3 betas. As a result, he said on Wednesday that he is "reasonably convinced" that Apple could introduce new devices with screen refresh rates higher than 60Hz. As for why Apple would be pursuing these capabilities— particularly in iOS 10.3, which is set to launch any day now —a likely explanation would be better better Apple Pencil support for new iPad Pro models. Current iPad Pro units feature a unique display with a variable refresh rate, which is cut from 60 frames per second to 30 when content is displayed static. Increasing the refresh rate beyond 60 frames per second, on the other hand, would be less power efficient, but could allow for a greater response time when writing and drawing with the Apple Pencil. Framerates beyond 60Hz would be impossible with current hardware, so the iOS 10.3 code discovered by Troughton-Smith would suggest new devices are needed to take advantage of a refresh rate higher than 60Hz. The Apple Pencil polls input at an extremely high 240Hz for precision— much higher than the screen refresh capabilities of the current iPad Pro. It's highly unlikely that Apple would introduce a display with a 240Hz refresh rate, considering how taxing it would be on graphics processing and battery life. But a bump up in frames over 60Hz, still far less than 240Hz, could give a more responsive and lifelike, pen-and-paper feel for Apple Pencil users. Beyond the Apple Pencil, it's also possible that Apple could be pursuing higher framerates in iOS devices for augmented reality and virtual reality applications. Faster response times are crucial for AR and VR applications for a more fluid, less headache-inducing experience. However, Apple isn't expected to play its AR or VR cards until this fall's "iPhone 8" refresh at the earliest, which will likely ship with iOS 11. In the interim, iOS 10.3 betas offer a glimpse of what could be coming in a matter of weeks with new iPads. Apple introduced a new low-end iPad on Tuesday, priced at $329 and with an A9 processor, with little fanfare. 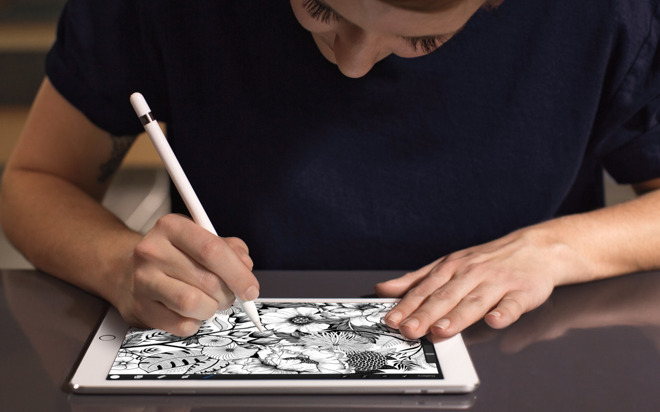 That 9.7-inch device does not have the dynamic display of the iPad Pro, leaving it without Apple Pencil support. But separately, Apple is rumored to be planning a special event in April where it could introduce new high-end iPad Pro models. Specifically, the company is said to be working on a complete redesign, with a 10.5-inch screen squeezed down to the form factor of the 9.7-inch iPad Pro, but with smaller bezels. 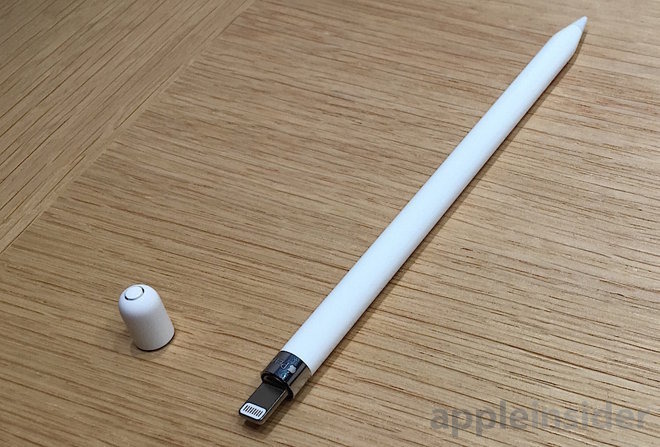 Another rumor from earlier this year suggested the Apple Pencil hardware could also be getting an upgrade, claiming it will feature built-in magnets to attach to the exterior of an iPad when not in use. It was also said that Apple is looking to add a pocket clip, as with a traditional pen.